When having an SEO campaign to boost the search engine rating of your web address the ultimate aim would be to boost the rating of your website in search engine results. This will push the site higher up on the search results and will boost traffic to the site. The purpose of link outreach will be to get other higher ranking sites to create links on their pages back to your site. These links have a valuable purpose in that they help to improve the SEO ratings of your site which drive up the rankings in an organic way. This, in turn, will also benefit the company by getting exposure of new viewers on the site. Link outreach ultimately increases the referral of traffic to the client website. There is also secondary aims like creating the awareness of a specific brand and the credibility of the client website. The best way is to make use of a well-structured email campaign to journalists, bloggers and other companies in which they are kindly requested to create backlinks to pages with similar content or interest which in turn complements articles on their sites and blogs. Other webmasters can also play valuable roles to promote backlinks to the client’s website. Social media can also play a valuable role to enlist the creation of backlinks. How can the clients business benefit? The client of an SEO company benefits from a campaign which includes link outreach in the following way. The creation of backlinks to their website helps to boost the rating of the site on SEO results and will improve the grading of the site by search engines like Google. The result will be higher traffic to the site because of its better position on the search engine pages. This can lead to improved sales and qualified leads. The website will experience more traffic because of an improvement in the credibility of the site in particular, if there are backlinks from reputable sites. This will also ensure that the marketing will be of high quality to maintain the backlinks from authoritative sites. The position of the backlink on the pages of the different sites also play a role in the grading. There is also the possibility of being exposed to new viewers who in turn can lead to an upswing in business. The power of backlinks to a site can never be underestimated in particular when it comes from an authoritative site which is in the same industry as the client whose website the backlink connects to. Any business will benefit from a well-coordinated and structured campaign to enhance the search engine rating of its website and its pages with a link outreach.The purpose of the link outreach must be to get the maximum number of authoritative sites to create backlinks to the client website and pages. 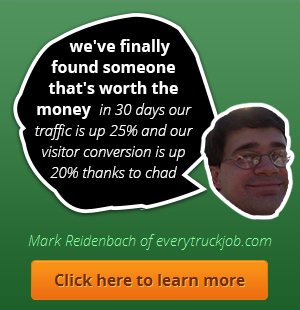 This will enhance the organic growth of the site. The key is to get a reputable SEO company to plan and execute your campaign to enhance the search engine rating.